I read this article and found it very interesting, thought it might be something for you. The article is called Home Schooling: Dublin Old School and is located at https://www.totallydublin.ie/more/home-schooling-dublin-old-school/. Dublin Old School is an ode to family, friendship and session moths in our city; it’s a charming and gritty slice of a party we’ve been to and a city. Honest and evocative, it doesn’t flinch from addressing the dark side and down-side to illuminating experiences. It is also a jump up to the big screen for some of the central people who worked on it. We talk to director Dave Tynan on his debut feature, actor Ian Anderson and Johnny Moy who curated the beats. “I’m sick of doing dead white man plays.” Those were the words uttered by Emmet Kirwan, to fellow actor Ian Lloyd Anderson, backstage on an Abbey production of Shaw’s Major Barbara which set in trail the road to Dublin Old School which transitions from stage to screen this month. 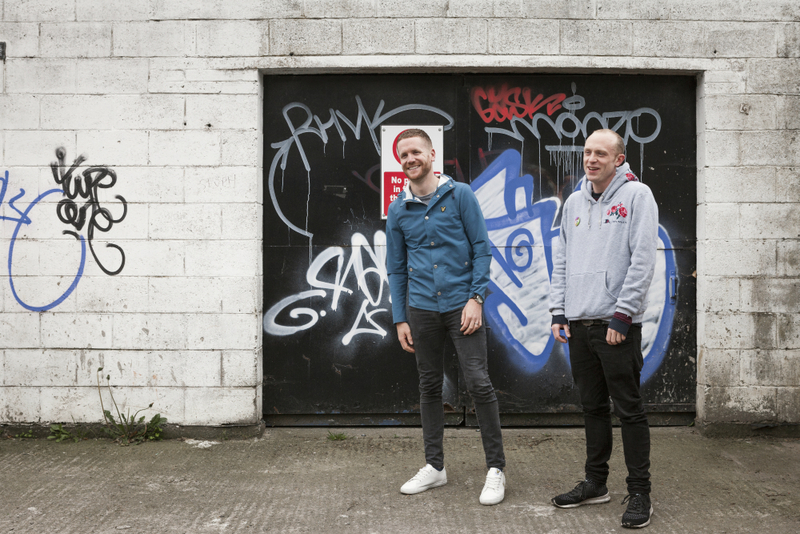 Dublin Old School was first staged as a two-hander with Kirwan and Anderson inhabiting the lives of a myriad of characters in Bewley’s Theatre back in September 2014 as part of the Fringe Festival. It went on to garner rave reviews with the Irish Times citing “the opening volley of verbal pyrotechnics” and its “dizzyingly funny yet skangily authentic tone.” It came back for several re-runs and ended up touring internationally. Daniel, his estranged brother, exists within the city as well, but as a recovering addict. And it is their paths crossing, when they “dig into their histories,” that makes heart of the story. 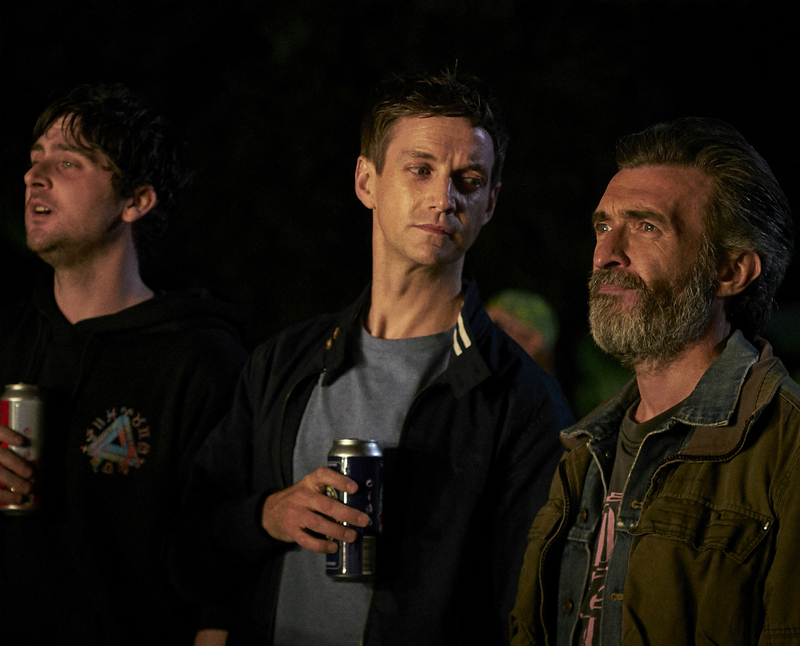 However, the backdrop is well and truly rooted in club culture, the thrill of the rollover interlaced with Jason trying to steer a wheel of love for his ex, Gemma (Seána Kerslake), whilst unable to apply the brakes on his life. “Those two things are often seen differently — party, drugs, session, weekend — you can do that and not fall through the cracks. But it’s important to put that up right beside the arc of Daniel’s story and what has happened in his life,” says Tynan. Dublin Old School gathers a mighty fine ensemble with Sarah Greene, Seána Kerslake, Liam Heslin, Mark O’Halloran and Bryan Quinn all part of the session moths, and the casting, by Louise Kiely, carried significant resonance. “There are a lot of theatre actors in it. This is going to sound arrogant but you never see film directors at the theatre. I’ve never ran into another one. You get to see actors act, they put work in,” says Tynan. 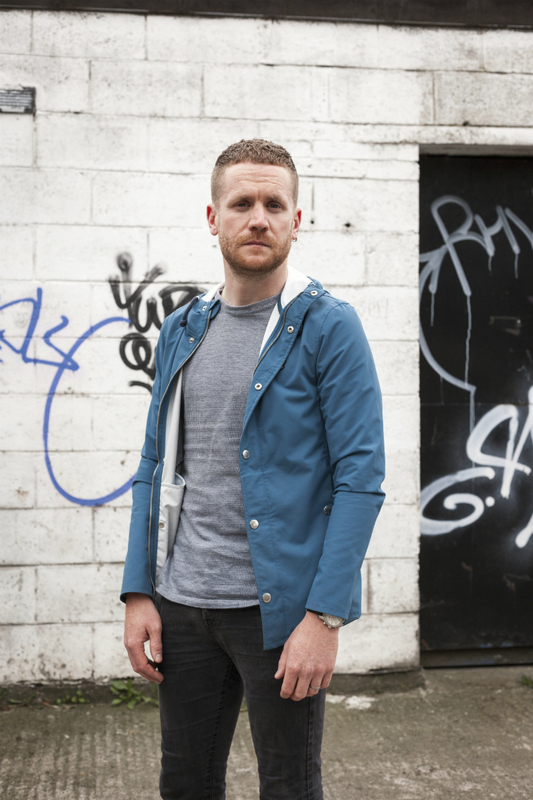 “It’s amazing to have Mark O’Halloran in it who kind of plays a father figure in the gang. There’s a screen heritage there going back to Adam and Paul. It was about grounding it because in the play the two lads throw the kitchen sink at ya. And it is so funny and fast. I felt a lot of my brief was to take that, put it out on the streets and make you believe that heightened language and verbosity. I’d hate to make a film where people were going ‘you’d know ‘tis a play.’ Then I am not doing my job as a director. You take the medium on its merits. You take the best of it and hide its origins at one level,” says Tynan. And whilst Anderson was part of the original stage cast, he was adamant he wanted to land it on screen too. In terms of the casting of the city as well, Tynan astutely avoids over-egging the landmark side of it. It’s identifiable to those familiar but in an alleyway over drone-shot way. And it perfectly complements the heart of the story, the side-step of a reality at our feet that we often wish hovered out of view rather than into sight. And so after six months of editing where Tynan took it from the first assembly which “was a mad shaggy beast with too many legs” and fashioned it into a 90-minute canine worthy of Crufts, he’s ready to get it out there. “It’s a massive chance to level up. It originally came from a very honest place. It’s not packaged by some agent in London or LA. It started small. We’ve scaled up but we want to keep the sense of its origins. It’s locally written, financed, shot, edited — all done in Dublin. We can do more of this.” Yes we can. Dublin Old School is released on June 29. Keep an eye peeled for a party around it too. 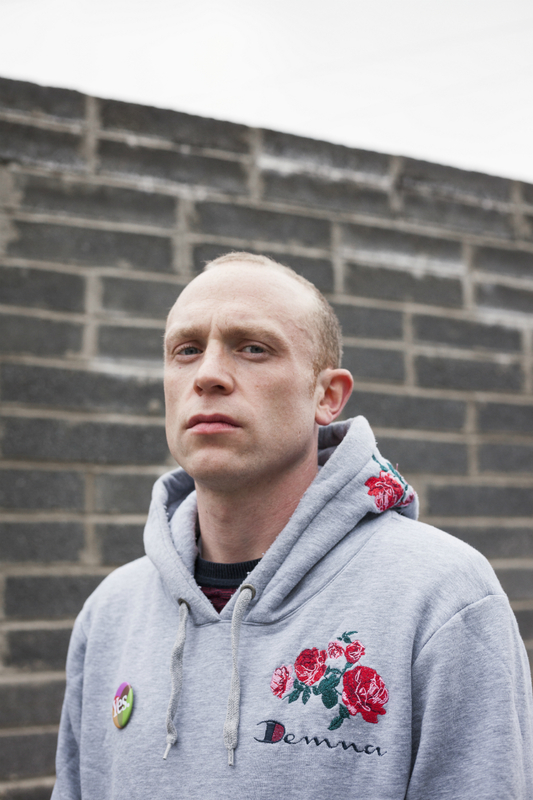 Johnny Moy is music consultant on Dublin Old School. He describes the process and challenges of soundtracking the feature. 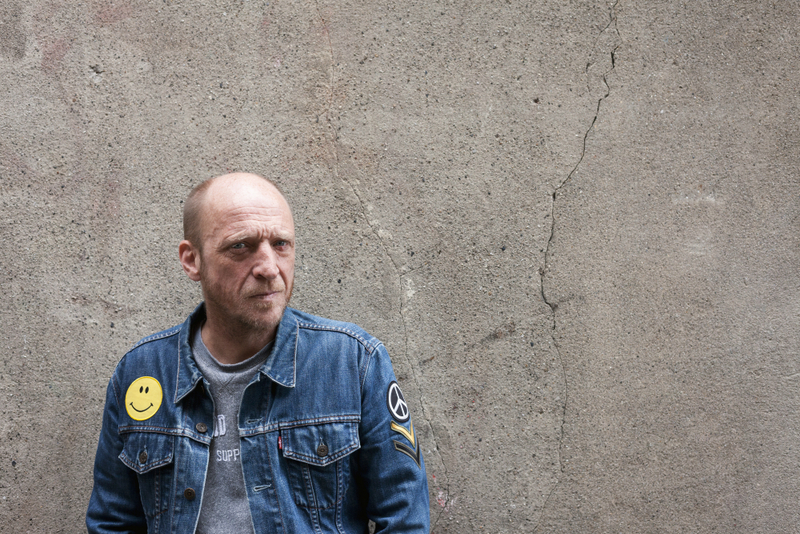 “I came from early 90s DJing. That was the palate we worked off initially. You start off with about 300 songs with everything you want in the world and then it keeps getting chipped and whittled and chipped and whittled. We came down to 60 we really liked. There’s a lot of the classics from that era, Orbital’s (DOS remix) of Chime, Slam Positive Education, Sound Crowd. Once you start looking at the rushes, some become more relevant than others and tracks you thought were really going to work suddenly don’t fit the bill. Everyone was fairly into music so that really helped. Then you get down to the boring bits — the licensing. The problem with 90s music is drum breaks which were killing us every time. James Brown, god rest his soul, cropped up a few times. If a track has a break in it and it was made between 1990 and 1996 you can be guaranteed that they’ve stole the drums from either James Brown, some funk band that don’t exist anymore or some big corporation that has bought the rights and own it.